Hour Glass takes us back to an era when a man’s word was his bond. A time when great deals were made and honored with a handshake, when life expectancy was short and every man had a pistol on his hip. Although the dangers of living in this period in history and the conflicts with the Native American suppression and the treatment of women are incorporated, the book touches on numerous factual historical issues in a fantasy setting, not intended to be historically accurate. The story introduces 12-year-old Jimmy Glass, who is faced with some real life challenges and having to choose between one bad decision over a far worse one. He is enabled by the most unseemly characters, catapulting him and his sister to their next steps in life. 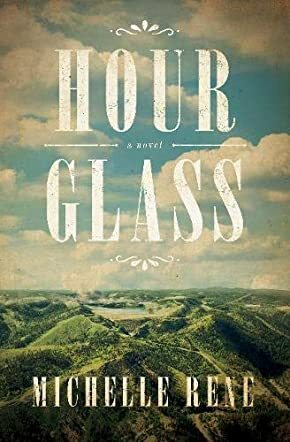 Hour Glass by Michelle Rene is a well-written tale, depicting alternate aspects of Calamity Jane’s life and the events surrounding it. In classic Western style, the story takes place in a popular, but tiny mining town in South Dakota. In a story littered with realistic and relatable characters, as well as aspects of America’s history, you’ll have a plethora of characters to love or hate. Hour Glass is sprinkled with metaphors and old time sayings that reminded me of my many elderly relatives. I found it quite comical and refreshing. I particularly liked the thought: "The birds had the audacity to sing." (Which I believe sets the stage for this novel). They do tend to do just that, totally oblivious to our grief. I really enjoyed reading this book with my 14-year-old daughter. It is a very interesting story. I would highly recommend this book for all to read. I could read it again and again.